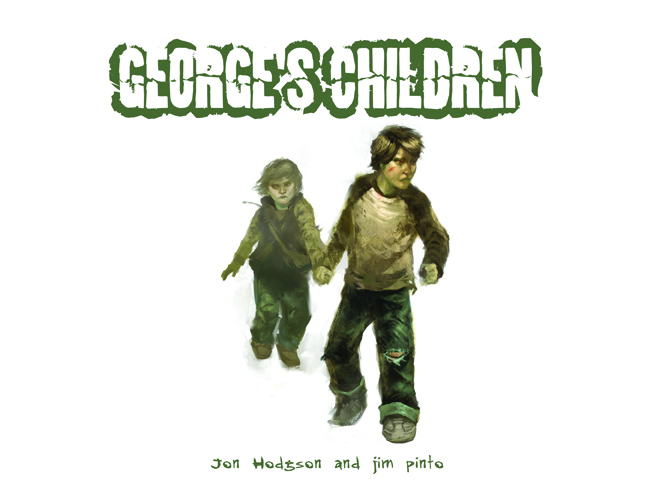 A few years ago, Jon Hodgson and I created a game called George’s Children, a game about children in a post-apocalyptic world dealing with the loss of anyone over the age of 13. The themes tackled in the game were heavy, even if the execution wasn’t pitch perfect. And because the topic, content, and source material were all very important to us, Jon and I decided to donate the profits from the sales to charity. The game wasn’t for everyone and our lack of marketing dollars made it difficult for the game to find an audience. This game is still available, but expensive, because it’s a POD through Lulu. I am presently planning a re-boot of the game and hope to eliminate Lulu from the process. I don’t know how soon this will be, but the new game would be a different size and include additional set-up rules, as well as advanced play. In the mean-time, if you’d like to contribute by buying a copy now, you are welcome. We are really proud of what we made and this game has been enjoyed many many many times by myself and others because of it’s evident style and tone matched the game’s precepts.